Do You Enjoy Piano World? Perhaps you have found our world famous Piano Forums helpful or entertaining, or maybe you’ve been checking out Piano World itself ( https://pianoworld.com ) and found some good information, something interesting, or something music related that was just plain fun! And now you’d like to help keep the music playing (so to speak). Any and all donations are greatly appreciated. While Piano World and the Piano Forums are a labor of love, they are also the primary way I support myself and my family. The hosting of our site alone costs me over $6500.00 dollars a year (plus another $1000.00 to host our online store). I have every intention of continuing to grow and expand Piano World, but I could use your help. 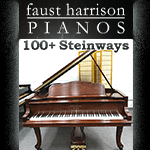 In addition to the millions of posts our members have created on our piano forums, I’ve created hundreds of pages of content on the main Piano World site, including games, puzzles, videos, fun facts, listings of professionals in the piano industry and lots more. And I will keep adding new content every chance I get. So if you’d like to see Piano World and the Piano Forums continue to survive and grow your generous donation would be a big help and most appreciated. 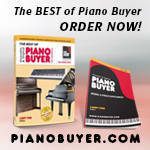 If we helped you find your piano dealer, teacher, tuner, mover, etc. Please tell them! Mention to your piano tuner, teacher, dealer that you like Piano World and it would be a good place for them to advertise.